In the second week of December there were an increasing number of reports that author photos weren’t showing up as often in SERPs. 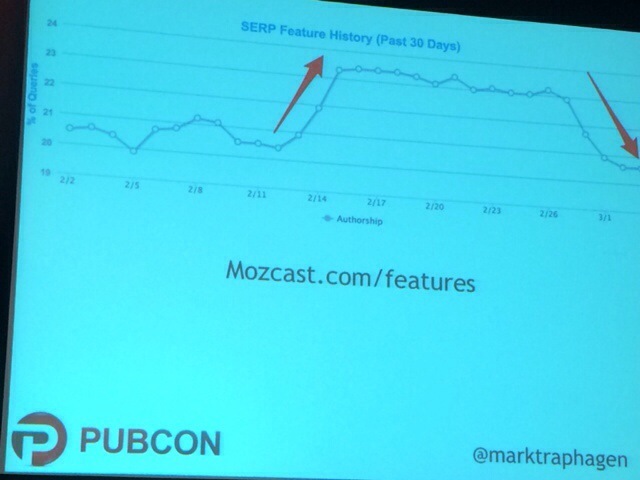 At Pubcon Las Vegas last year Matt Cutts said that when they reduced the number of authorship results shown in SERPs by 15% they saw better results. Take that to mean whatever Google speak you think it means. Here’s the initial drop followed by continued periods of volatility. The first time might have been that Google found they cut a little too deeply which is pretty typical. Another major change you saw happen at that time is more second-class authorship results — just a byline and not the author photo. Mark attempted to identify commonalities of what happened when authors got more, fewer or the same amount of full authorship results. 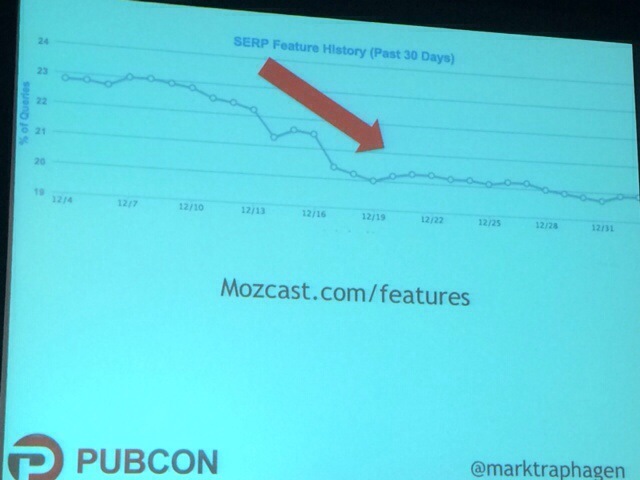 Reduction by Query: There was an algorithmic change that adjusted which queries deserve authorship results. Authorship is a qualifier in the case of in-depth articles — a threshold you have to cross to get into a Google feature. So now the patterns he identified in his analysis. Keep in mind there are exceptions to each. 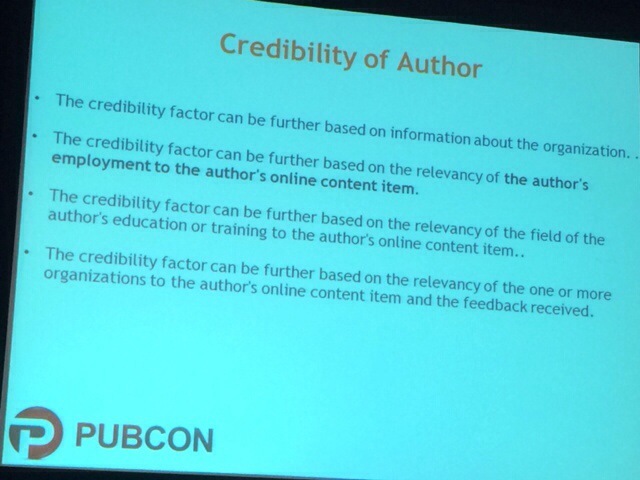 Authors that kept their full authorship results had these qualities. If a site had authorship site-wide or was including authorship on content that isn’t considered “authored,” the authorship was dropped. is doing an overview with some looking at the future. 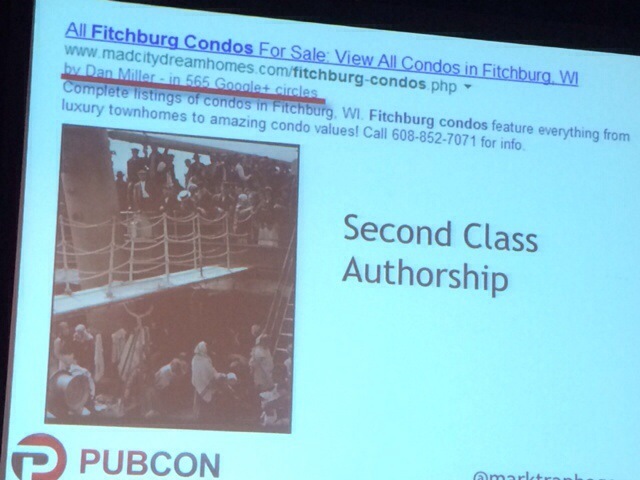 The obvious advantage: Authorship photos attract more clicks. The history: Authorship snippets started to appear in June 2011. That same month, Google+ was introduced and Google profiles redirected to Google+. 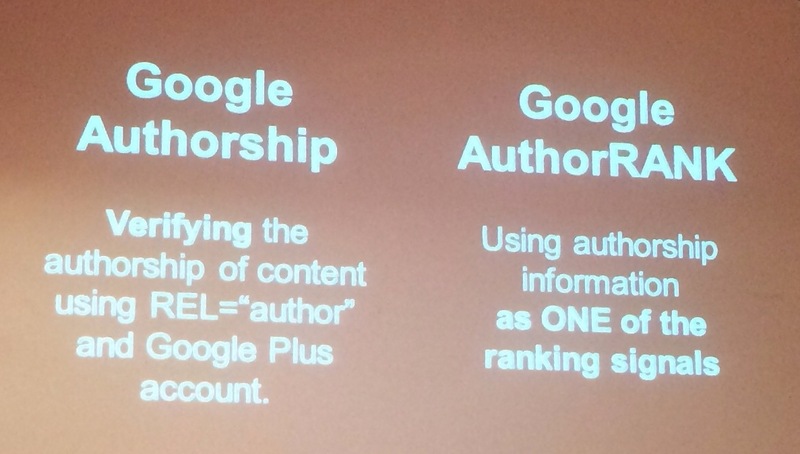 Google+ became the center of the Authorship program. In October 2011 the author photo moved to the left and counts were added. In 2012 there was some simplification and “more by” the same author was added. In April 2013 “more by” is removed. Today you don’t always see the number of circles an author is in. You’ll also see that if the same author has 2 results, the second result won’t have a photo. 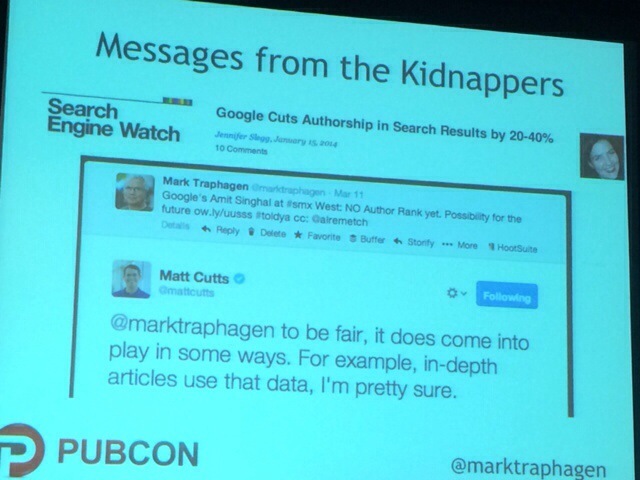 Authorship is combined with other rich snippets as well. You may see a video thumbnail on a listing where the author’s name is included. You may not see an author photo if reviews rich snippets are on the result. Google News is the first place Authorship results were displayed. Google Images has also added Authorship but it associates it with the article that includes the image (not popular with photographers). Where did Authorship come from? Do you think of it as an SEO tag? Or a way Google ranks things? She suggests it’s actually about establishing identity. People usually talk about the Agent Rank patent when talking about Google Authorship. This simple patent speaks to credibility, potential ranking system and digital signature. 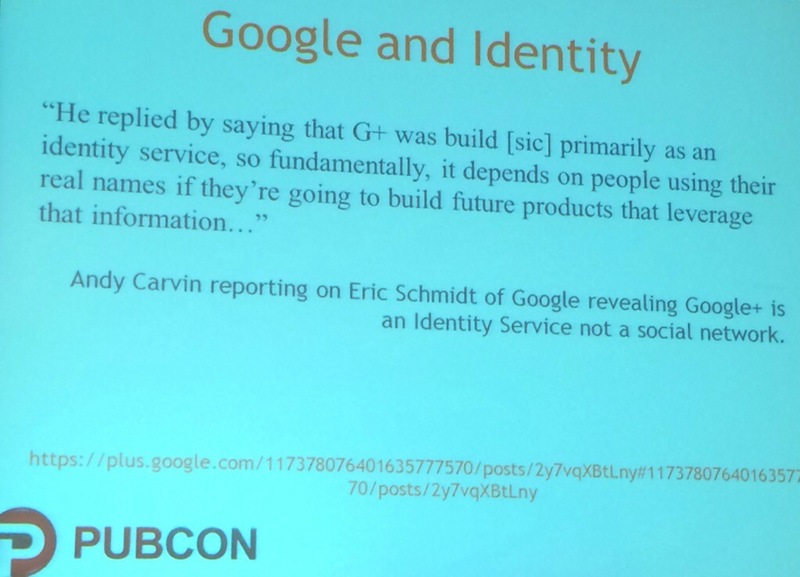 Eric Schmidt has revealed that Google+ is not a social network but an identity network. It’s about identifying people, authors online. 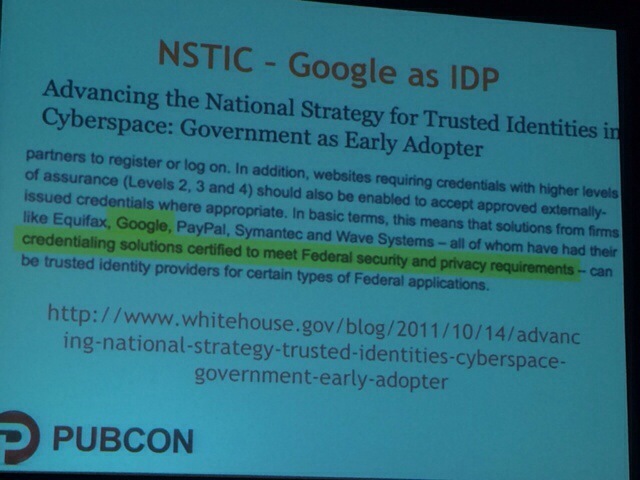 The White House announced a National ID System in 2011. ID providers remove the need for passwords. What does this have to do with SEO? 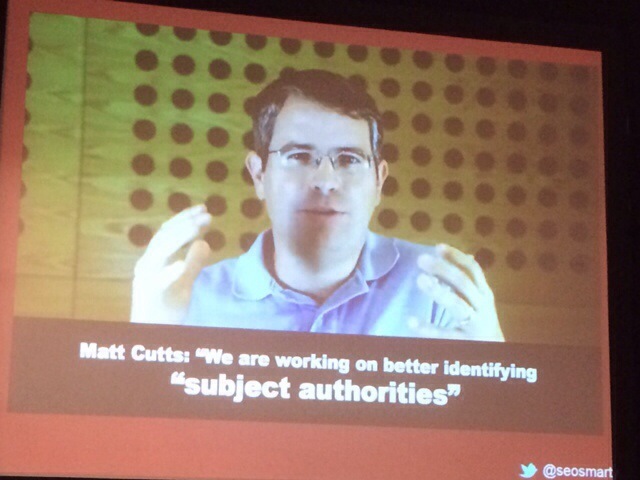 Authorship is one of the first identity tags implemented online. It’s about knowing who you are, who you’ve published with, who you write for, your actual identity. Schmidt said that verified profiles will be ranked and the cost of anonymity may be irrelevance. Patent: Authentication of a Contributor of Online Content. You see “credibility factors” and “authentication score” detailed and this is a patent at play for Authorship that is less frequently referenced publicly. What’s next? Google is looking for topic experts, authors that are experts in a topic. The goals are to get rid of spam and provide more relevant info. 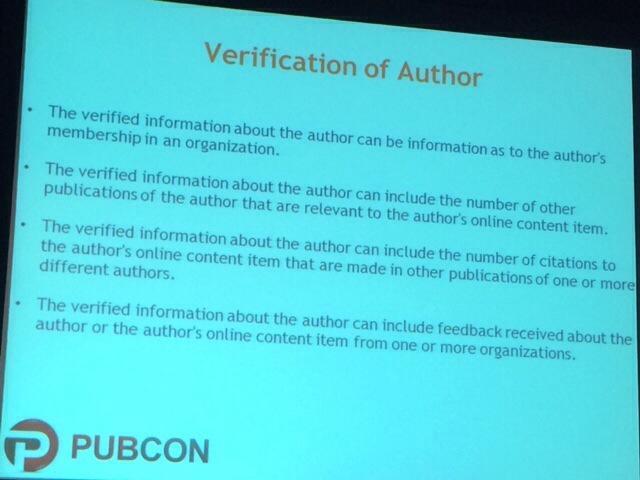 They do this by knowing who you are, by having authenticated authors, by verifying who you are through identity factors, to authenticate your author profile online and by asserting your author/post credibility.